I am very excited to show you what I have been working on the last couple of days, our guilds next raffle quilt. The pattern is called Cattails in the Meadow and it’s a Judy Neimeyer foundation pieced pattern. Our quilt show will be held in April 2014 and the quilt will be drawn for at the show. The theme of the quilt really suits our local area and I hope it will appeal to a large number of people. Fingers crossed ticket sales go well as this is our guilds main fundraiser. 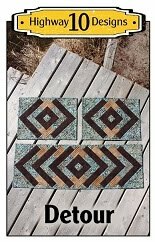 It is only 62” x62” so makes for a large wall hanging or a nice cover for the top of a bed. 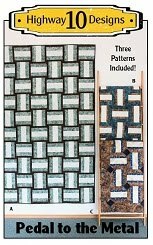 I did a lot of searching online for quilting ideas and ended up using element of quilts I saw as well as adding my own style to the overall quilting. I SID all the dark batik fabric and appliquéd designs then added flowing feathers from the cattails and from the four corners. Added grasses among the cattails and flowing lines around the flying geese and center spikes. I was so happy the quilt was finished in time for a photo shoot in our autumn landscape. The leaves here change and fall so quickly. This is Joy’s quilt called Botany 101 and she purchased it as a kit from Gruber’s Quit Shop in Minnesota. We chose Whirlygig for the panto as it has a leafy design and work with the theme. The leaves are fused on and Joy did a straight stitch around all the appliqué pieces. The backing is black Fireside which has more stretch but much softer than Minkie. The batting is Quilters Dream Black Poly. 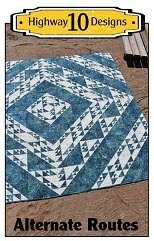 This is Kerri’s Lone Star quilt and I like how it has been done in a four patch layout. This quilt is mainly pieced with batik fabrics and I used a black Dream poly batting as the backing is black too. The panto design is called Fascination and I chose this simple design as the pieced Lone Stars are the focus of the quilt. I used charcoal coloured So Fine thread to blend into the background fabric. This is Rae’s Jelly Roll 1600 Quilt and I used the Hearts in Bloom panto. She brought a Cuddle backing and I thought I would take the time to post about working with Minkie/Cuddle fabrics as I often get emails asked the best way to quilt it. There is an impression out there in the quilting world that this fabric is hard to work with and that has some truth to it. I have quilted many quilts with Minkie backings and will share some of the things I have discovered over the years. 1. When choosing the color of Minkie for the backing make sure it blends well with the top fabrics as Minkie will beard up to the top of the quilt. It was not noticeable in this quilt as the colors matches so well but in the past I have been give, for example, an orange Minkie for the back of a quilt which had mostly black fabric on top and you could see the orange poking though the black fabrics. A black Minkie would have been best for that quilt. 2. When you have to stitch two piecing together for a backing make sure the nap of the fabric runs in the same direction. Just run you hand along the fabric to see the color change and you’ll know. Also make your seam allowance 1/2” to 3/4” as this allows the Minkie to be pressed flat with your hand ( DO NOT IRON). I find when the seam allowance is only 1/4” then the Minkie will not stay flat when hand pressed down and will curl or stand straight up creating bulk along the seam line which can then be seen from the top of the quilt. 3. When pinning Minkie to a longarm use the selvage edges when you can as this will distributes the stretchy grain ( crosswise) of the fabric evenly across the roll bar. 4. Do not over stretch your backing on the longarm rollers, keep the tension looser than you normally would for a cotton backing. Also when using clamps on the sides do not over stretch and use a lighter tension. That way when you take the quilt off the machine it will not spring back to a relaxed state and wrinkle the top fabric. As you can see Rae’s quilt lays very flat. 5. I prefer to quilt simple Edge to Edge designs on Minkie rather than custom quilt on it. Mainly because if the client is using Minkie that tells me it will be used as a cuddle quilt so keep the quilting light. I have custom quilted a few quilts with Minkie on the back but when you do a denser background fill the long fibres on the Minkie will just twist up in the stitches and not look or feel as nice. 6. I like to have a Dust Buster beside me when I trim quilts with Minkie backs as this fabric sheds terrible. Once trimmed I give it a good shake outside and once all the loose fibres are gone they are gone. 7. Do not wash a Minkie quilt in hot water or dry in a hot dryer, use gentle cycles. 8. 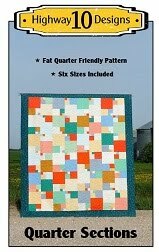 I like to use batting with Minkie backing as it gives the quilting more definition, I used Dream Blend on this quilt. This is Gail’s Tennessee Waltz quilt and I love the soft purple and cream fabrics she used to piece it. It is a very traditional quilt so I wanted to quilt it that way. I did a bead board design in the outer border then loops, CC’s and curls in the inner borders. I SID on all the blocks and was able to do the Star block with only one start and stop! Then added feather wreaths in the snowball blocks. 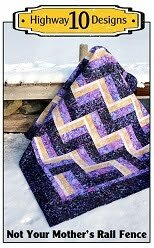 This is Gail’s Links Bargello quilt and the pattern is designed by Lockwood Quilts, find their website here. I love Bargello quilts, they have amazing movement and you can use your favourite color combinations to create a stunning quilt. Gail gave me the go ahead to quilt it how I liked and at first I thought I would do free hand swirls but the more I looked at it the more I wanted to add more too it. So I did a combination of swirls in the purple fabrics and feathers in the yellow/green fabrics. I did straight lines in the black blocks to divide the two designs and then added a simple feather to the narrow outer black border. I was able to get a good straight on shot and crop it to just show the quilt. I used black So Fine thread on the black fabric, light green So Fine on the yellow/green fabrics and a light purple So Fine on the purple fabrics. This time I used the same thread color top and bottom. This is Valery’s quilt that she made from a BOM project created by Prairie Chicks Quilt Shop. She added an extra wide sashing and corner stones to create a lattice design behind the blocks. She left the quilting pattern up to me and I chose the Feathered Curls panto. Used a pink Lava variegated thread and Dream Blend batting. The backing is a pink Minkie. I was able to work on my Medallion quilt this weekend and even got the binding on last night. 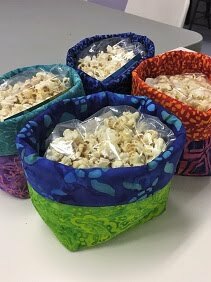 This was a QAL project from Jenny’s Sew Kind Of Wonderful blog. They were very fast and easy to make and I changed the layout of mine to an offset pattern. I used my hand dyed fabrics for the colourful frames in the blocks and a commercial batik for the centers. Quilted a continuous feather in the background and a flower motif in the centers of the medallions. I wasn’t sure at first how to handle the outside edges of the background but then came up with the curved pebble design instead of trying to squish feathers on the other side. I didn’t quilt on the hand dyed fabrics as I wanted those to pop so just SID around them. This is Jackie’s I Spy quilt that she made for her grandson Jack. I was amazed at all the detail she put into piecing the sashing around the hexagon shaped blocks, it has a beautiful woven appearance. She also added Jack’s name to the top of the quilt which was a nice touch. We thought it would be best for this quilt to have a simple quilting design so I picked Curlz for the panto and used a rust coloured So Fine thread. Giveaway Winner and New Flickr Group! The Giveaway draw is now closed and the winner of the Alternate Routes pattern and Batik tote bag is Ann!! Congratulations Ann! I was so happy to see you had an email attached to your Google account so I’ll be sending you an email to get your mailing address and will have these prizes off to you in no time. Ann picked the first tote which is the one pictured above. Thanks to everyone that entered my draw and answered my question about what type of patterns you prefer to buy online. I got a lot of great information from the comments. I am also one that like the instant gratification of buying PFD online and being able to get started on a project right away. Not having to pay for shipping is a huge plus too. In other pattern related news Lori and I have created a Flickr group for our Alternate Routes pattern. We have a few pictures uploaded and hope if you have made or are planning on making this quilt you can add your quilt pictures to our group. If you don’t have a Flickr account please just send your photos to Lori or myself and we can upload them for you. So far no one has used the same layout and it will be a great place to see how others are putting their quilts together. The pattern contains 20 different layouts but the possibilities are endless. Here is the link to our Flickr group. This is our guilds November Craft Sale Raffle quilt. Every fall we make a Christmas/winter themed quilt to raffle as a raise funds for our guild. It’s a one day raffle which really helps the ticket sales as the idea of ‘draw today’ really appeals to ticket buyers. We purchase a fabric collection called Jingle by Robert Kaufman which is a fun, bright Christmas themed fabric as well as Kona White. Our guild has a GO cutter so we used the Isosceles Triangle die to cut out all the fabrics. We used a simple layout to frame each fabric in white. The panto design is called Flurry. Don’t forget to enter into my Giveaway that’s going on now here. The draw will be on Friday, Sept 6 at noon so you still have a day to enter.